Mike is an audit & assurance Principal in REDW’s Phoenix office. With a long and successful career focused on strategic planning, organizational development, and financial and operations management, he works to support his clients’ success by the direct expansion of their core business activities and products, and by the proactive management of operations and relationships. He has particular expertise in organizational matters, on-site management assignments, capital formation, investor representation, financial integration, government negotiations and relations, and contract negotiations. Besides serving as an adjunct professor at the University of New Mexico, Mike is an experienced trainer on a wide range of topics, including technical subjects geared toward a particular industry or issue. He has also served as an independent moderator for team-building and strategic planning and decision-making meetings. Prior to joining REDW as a Principal, Mike spent 15 years as Chief Operating Officer, Chief Financial Officer, and Member of RAM Holdings, LLC, which managed a tribally-owned casino in Louisiana. Mike exercised complete responsibility for all operational aspects of RAM Holdings, LLC, including fiscal matters, administrative duties, and financial planning and management. 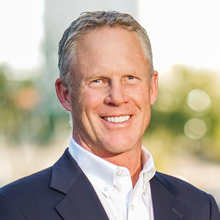 In the 1980s and 1990s, Mike was a Partner and Director of Erickson Allen PC, CPAs, a closely held public accounting firm that he helped grow from a start-up operation to a multi-million dollar business, ranked as one of largest in Albuquerque. Mike is a Certified Public Accountant. Mike is currently Chair-elect of the Arizona Society of CPAs. He has served on the Board of Directors for Make-A-Wish Foundation – Albuquerque, and as Chairman of the Board of Directors for the New Futures School for parenting teens. He served on the Board of Directors and was Chairman of the Fiesta Bowl in Phoenix. He is also a graduate of the inaugural class of Leadership Albuquerque.